As part of our battle against loneliness, we are starting a choir for our passengers, volunteers and staff. 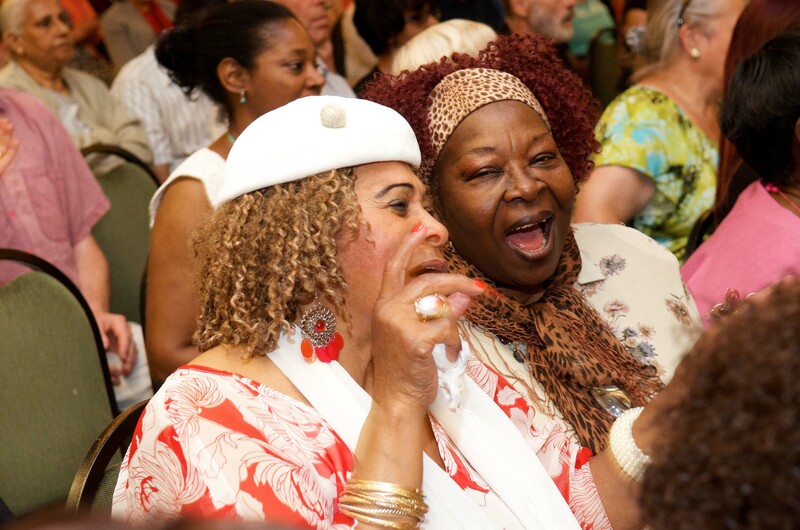 Singing is really good for you, and getting out and meeting people is just what the doctor ordered. The choir will meet at Shopmobility on a Thursday afternoon and a fun time is guaranteed – call Manuel for more details. The pictures are from our 30th anniversary celebrations, where Rock Choir entertained us and had ’em singing in the aisles. We have obviously got some hidden talent out there! Everyone is suddenly going on about the dangers of loneliness and the negative impact on health, but we at WCT have been doing fantastic work getting people out and about, and making new friends with volunteers and fellow passengers for over 30 years. 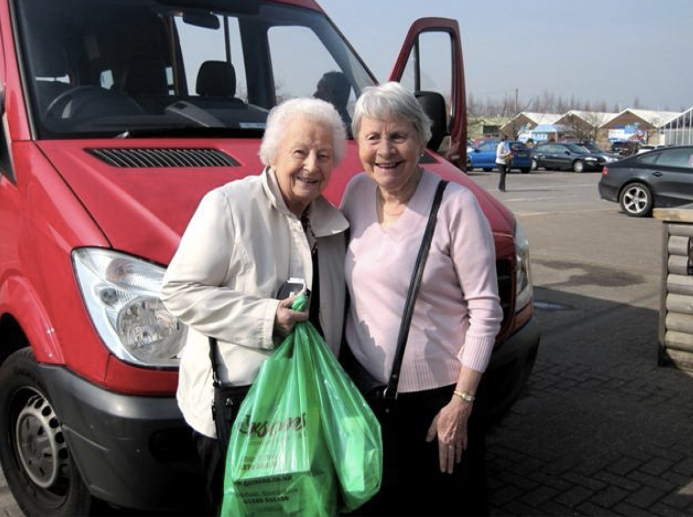 Our regular outings and shopping shuttle really hit the spot in this regard, and over two thirds of our passengers say we have helped them make new friends and enjoy new activities. BUT, we know we can always do more, and are starting a special lunch club so that isolated single people can go out together to a nice pub in the country and have lunch with new friends. 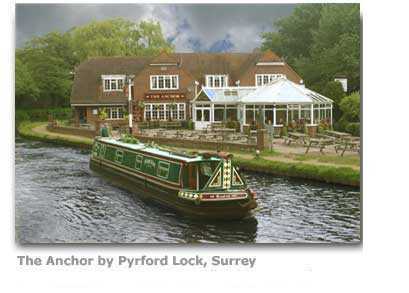 Our first expedition will be to the lovely Anchor pub next to the canal at Wisley – it is going to be great! We have just published our latest Silver Day Trippers and Road Runner Newsletters with details of our Spring/Summer Programme for 2018. We all know how difficult it is to get men out and about and doing activities. We are having a special Men’s Group outing (a pub lunch, as you might have guessed) to canvass opinion and to see what we can do to get more men using our services. Please call Manuel on 020-8675 7460 if you are interested and please spread the word on our behalf. Mobility scooters can really make a difference t o people’s lives, but many are scared of giving them a try. On top of that there are the dangers involved if you don’t know what you are doing. We want to encourage people to come to Shopmobility (at the back of Sainsbury’s on Garratt Lane) on Thursday 2nd June to have a try. We provide training and organise insurance and ensure everyone is safe. We do free daily loans and long term hires and second hand purchase “try before you buy”. Another side of the equation is that with our growing population (weight not numbers) it is getting increasingly difficult to find volunteers to push heavy wheelchairs. Mobility scooters can be the answer and help set people free. Call us on 020 8875 9585 if you would like to attend. 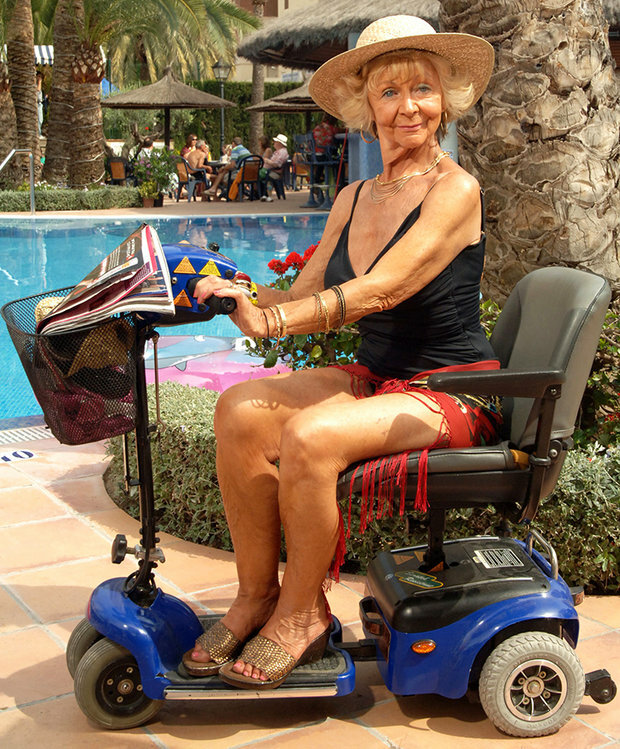 Madge from the hit TV series “Benidorm” says you know it makes sense. After nearly two difficult years in portacabins, the new Shopmobility at Sainsbury’s, Garratt Lane SW18 is now open and it is brilliant! Entrance is via the rear Sainsbruy’s entrance from the car park. Sainsburys have done a fantastic job and we want you all to come down and have a look. We are holding an open day on Friday 29th August between 10am and 3pm, and everyone is welcome to pop in and have a cup of tea and piece of cake and find out exactly how it all works. In particular anyone who works with elderly and disabled people who can help put the word around, is especially welcome, and please spread this invite to Social Workers, care workers, Sheltered Housing schemes etc. If you have a group of passengers who might want to visit together, let us know and we will put on a minibus and you can make it into a little outing. 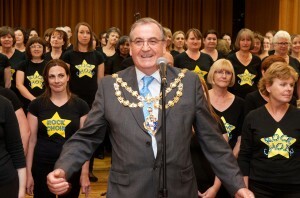 Wandsworth Community Transport celebrated its 30th anniversary last week (on Thursday 3rd July) with a party featuring the Wimbledon Rock Choir at the Wandsworth Civic Suite. 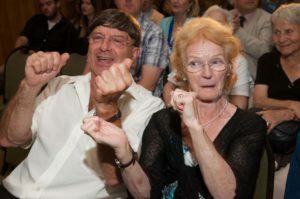 The Deputy Mayor (Cllr Richard Field), Councillors, members of staff, users of the service and volunteers enjoyed a fantastic concert and celebrated 30 years of success for the organisation, which provides minibus transport for community groups and individuals who cannot use public transport. The Rock Choir performed a number of contemporary classics, with plenty of audience participation, and everyone had a lot of fun. Singing is good for you and the crowds of smiling faces proved the point. 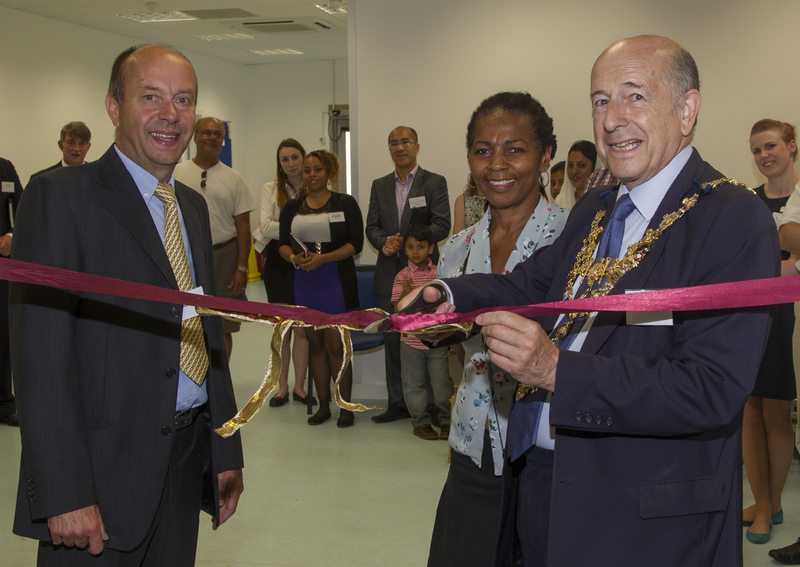 The Deputy Mayor presided over the event and in his speech paid glowing compliments to Wandsworth Community Transport’s fabulous achievement over so many years. “It was great to see such an amazing turn out” said Managing Director Manuel Button “and to have the opportunity to say thank you to the Council that has supported us so well over so many years and which provided the venue free of charge. 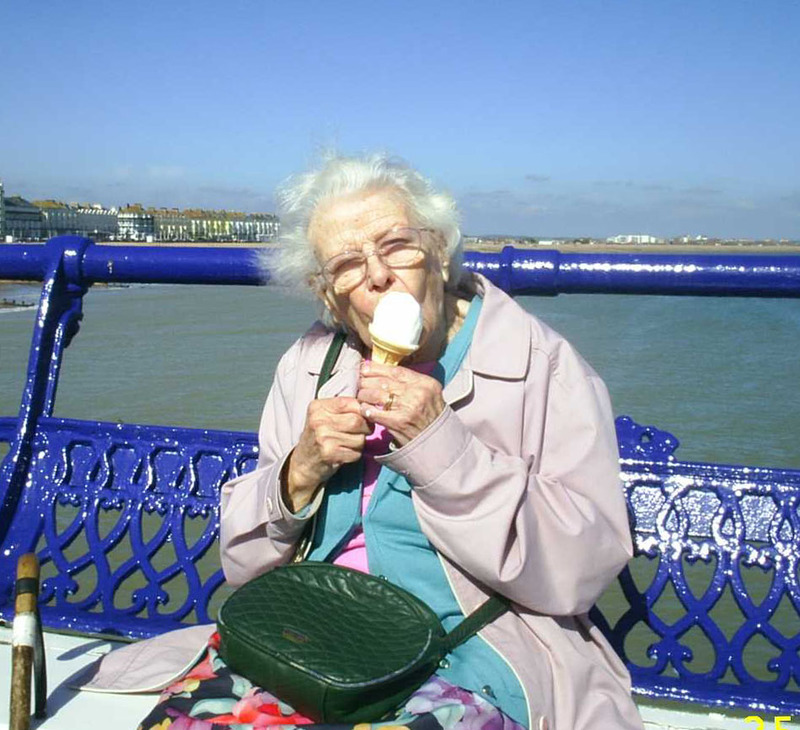 Wandsworth Community provides minibus transport for local organisations and its Shopmobilty service provides for some of the most isolated elderly and disabled people in the Borough, providing regular door-to-door shopping trips and trips out to the coast and places of interest. Anyone who would like to find out more or to join the award winning team of volunteers, should call Manuel on 020 8675 7460. The latest newsletter includes details of our summer programme including the new long haul trips to destinations like Rye and Blenheim Palace, as well as all the old favourites. See the newsletter for full details (PDF) and to find out how to book. Wandsworth Shopmobility were delighted last week to receive 6 state of the art mobility scooters and a wheelchair from the Mayor’s Olympic Legacy Project. They were used during the Olympics for disabled visitors to access the games and have now been passed on to voluntary organisations across the Capital. The scooters were presented at an event at City Hall and the picture shows Marcia (on the right) with scooter user Joy Rogers, the Statutory Deputy Mayor of London, Victoria Borwick, and of course the inimitable mascot for the 2012 games, Wenlock! Anyone wishing to take advantage of the new scooters or who needs transport or a volunteer to go shopping, should call Marcia on 020 8875 9585 to find out more. 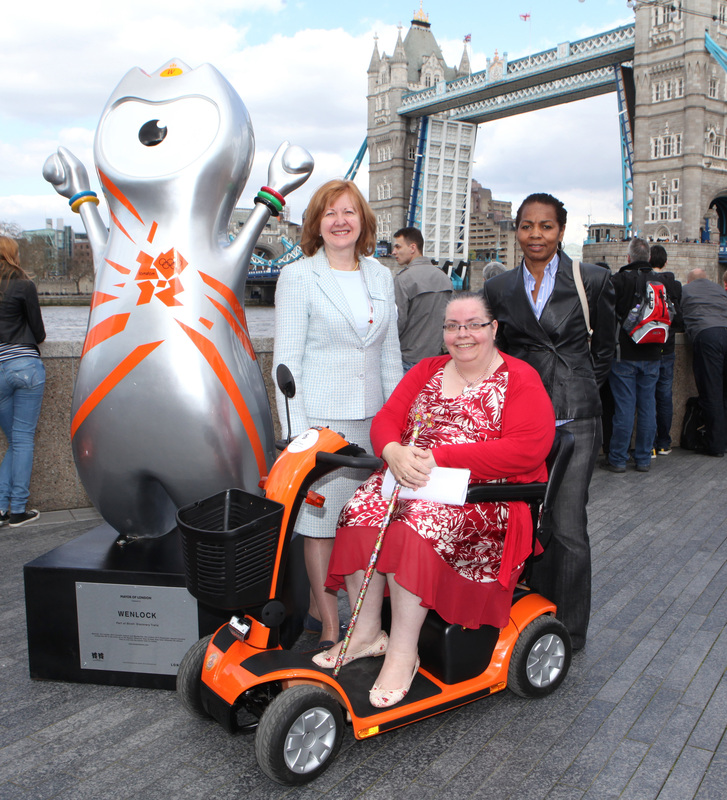 The 6 mobility scooters and one wheelchair were provided by the Mayor’s Olympic Legacy Project and delivered on 26th April 2013. Wandsworth Shopmobility is based at Sainsbury’s Supermarket Garratt Lane SW18, and is operated by Wandsworth Community Transport (WCT) and funded by Wandsworth Borough Council. They won the Queens Golden Jubillee Award in 2002. Wandsworth Shopmobility provides electric scooters and manual wheelchairs along with volunteers to push them. It also runs a door-to-door accessible minibus service that takes elderly and disabled Wandsworth residents to the Town Centre. WCT has over 1000 passenger members, and most of these regularly use their Shopmobility service. Latest figures show that more than 11,000 return passenger trips are completed each year. The 90 volunteers involved in the project, help by driving the minibuses and pushing wheelchairs etc. WCT provides accessible minibuses to community groups and individuals in Wandsworth. In addition, WCT offers trips to elderly and disabled residents of the borough. Application forms for membership may be obtained by telephoning WCT on 020-8675 3812. Wandsworth Shopmobility provides regular shopping trips for elderly and disabled people in Wandsworth and uses an award-winning team of volunteers to help push wheelchairs and give a helping hand. They were delighted to welcome Battersea MP, Jane Ellison, and give her a taste of how the service works and what the volunteers actually do. 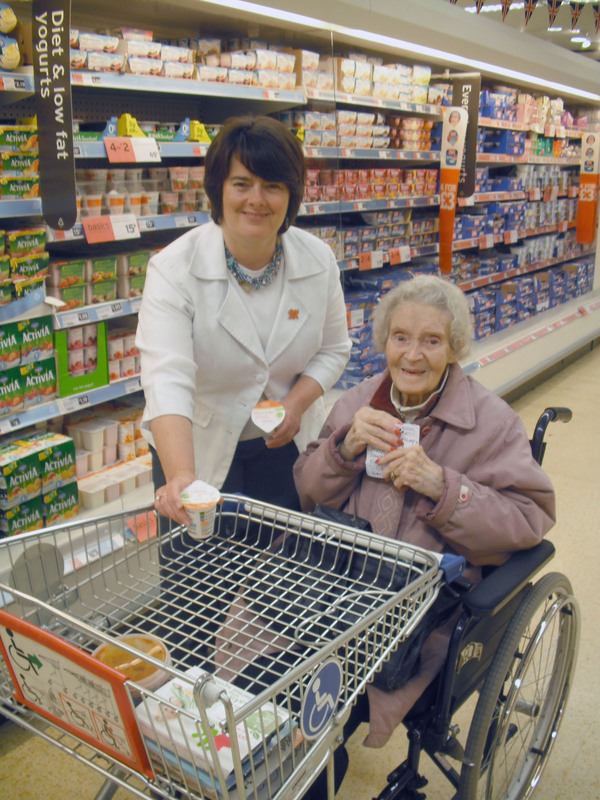 Jane was keen to get involved and help one of the shoppers, (Margaret Howden, pictured), and after a quick wheelchair training session, was soon cruising the supermarket aisles, and filling her trolley. Shopmobility have over 1,000 service users and always need new volunteers to help out. They really hope that the example shown by their local MP will encourage new people to come and join in. “We are always looking for new volunteers, as well as people who need to use our services” said Shopmobility Manager, Marcia Millington. “Anyone in Wandsworth who finds it difficult to use public transport can join and membership is free. As well as our regular shopping trips we do trips out to the coast and other places of interest. We provide wheelchairs and electric scooters and of course a marvellous volunteer to help if you need one. The visit took place on Wednesday 1st August 2012. 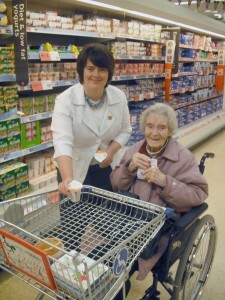 Pictured are Battersea MP Ms Jane Ellison and Shopmobility member Mrs Margaret Howden.